In 1993, Dominic Stevenson left a comfortable life with his girlfriend in Kyoto, Japan, to travel to China. His journey took him to some of the most inhospitable and dangerous places in the world, from the poppy fields of the Afghan-Pakistan border to the ancient trade routes of the Silk Road, before he was arrested for drug smuggling while boarding a boat from Shanghai to Japan. 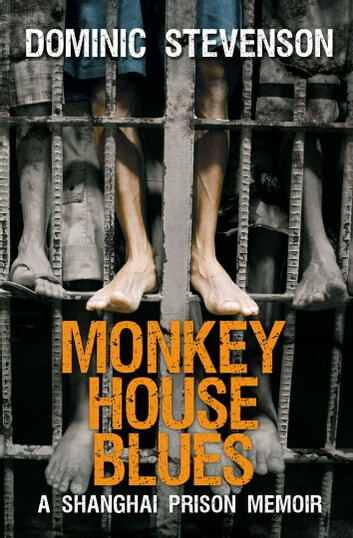 After eight months on remand in a Chinese police lock-up, Stevenson was sentenced to two and a half years in one of the biggest prisons in the world, the Shanghai Municipal Prison aka 'The Monkey House'. There, he was imprisoned alongside just five westerners amongst five thousand Chinese criminals in a block for death row inmates and political prisoners, where the guards drank green tea and let the prison run itself. The experience led him to reflect on his previous life in Japan, India and Thailand, during which time he took on a varied array of jobs, including English teacher, karaoke-bar host, factory worker, busker, crystal seller and dope smuggler. 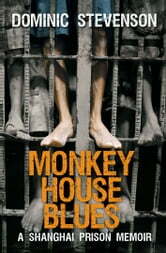 From Afghan gun shops to Tibetan monasteries, Thai brothels and the stirrings of the rave culture in Goa, Monkey House Blues is a tale of discovery and rediscovery, of friendship and betrayal.